Your growing belly can certainly put more strain on your back and legs during pregnancy, and what better way to relieve that pain and tension than a nice relaxing massage? Obviously laying on your pregnant belly for a full body massage isn’t really an option, but enjoying a soothing massage in a massage chair might be. Like most expectant mothers, though, you are probably wondering if even that is safe. While some chair manufacturers recommend against pregnant women using these chairs, there is no evidence to support those claims. As you carry your little one, he or she is wrapped in several layers of muscle and fluid, which provide a wonderful cushion for the baby’s growing body. Sitting in a massage chair is really no different than getting a regular massage – the electromagnetic fields and the gentle pressure used by a chair are neither dangerous to you or your baby. Nonetheless, you will want to take a few precautions if you choose to use a massage chair while pregnant. Pressure Points. There are several pressure points on the body that, when activated, can lead to premature labor. If you feel any discomfort or tightening in your back while using the chair, you’ll want to discontinue the massage immediately and consult your doctor if the tightening persists as it could be a sign of early labor. Heating Pad. Many massage chairs also come standard with a heating pad unit included. The heat from these pads can elevate your body temperature, which can, in turn, spike your baby’s heart rate and cause cardiovascular issues. Simply avoid using the heating option if the chair you are using has an attached heating pad. Massage provides many benefits to the body, especially during pregnancy. Reduce Back Pain – the vibration of the massage is extremely beneficial for easing back pain. Likewise, this circulating pressure can help promote the movement of blood throughout the body and relieve pain and tension. Gentle Stimulation – while you may be like many pregnant mothers who are concerned that the vibration of the chair may harm your baby, the movement of this option is really no different than walking. Your baby won’t feel anything, and you’ll get the relief from the gentle stimulation of the chairs kneading fingers. Manage Stress – prenatal massage is particularly helpful for managing stress. It can even help regulate the hormone levels, which contribute to anxiety and depression. Ease Leg Pain – it is common for pregnant women to end up with pain that radiates from the low back into the legs as the uterus grows. A good massage can help manage this pain. Reduce Risk of Premature Birth – while many women believe otherwise, massage actually helps reduce the chance of premature birth. While massage chairs are generally safe during pregnancy, you’ll want to follow a few important guidelines to avoid any issues during your massage. Avoid using a massage chair during the first trimester. Your body is undergoing a vast transformation during these first few weeks, and the chances of miscarriage are highest during this time, so avoid adding any additional stress to the body. Monitor your time in a massage chair. You may feel like napping during your massage, but you shouldn’t spend more than 15-20 minutes in a massage chair while pregnant. Consider comfort during the third trimester. As your belly grows, you don’t want to put any unnecessary pressure on it, so avoid trying to squeeze into a massage chair if it is uncomfortable or too tight. Do not use a massage chair if you have been diagnosed with a high-risk pregnancy or preeclampsia. 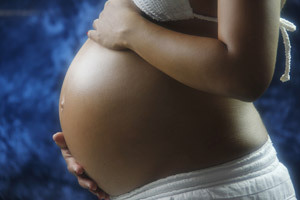 You’ll also want to avoid this type of massage if you have a history of preterm labor or severe swelling or headaches. If you have no health concerns and are through your first trimester, using a massage chair is generally considered safe and can provide you a variety of benefits. So if you’re back is aching or you could use just a little pampering, go ahead and treat yourself to a nice massage!